When you have completed this project, submit it with a photo of your finished artwork on Schoology. There is not a rubric required with this project. Although you will only choose 1 medium for this project, you will need to take the sketchbook notes from all 3 media options for use on the exam. Sketchbook Notes are indicated by red lettering. 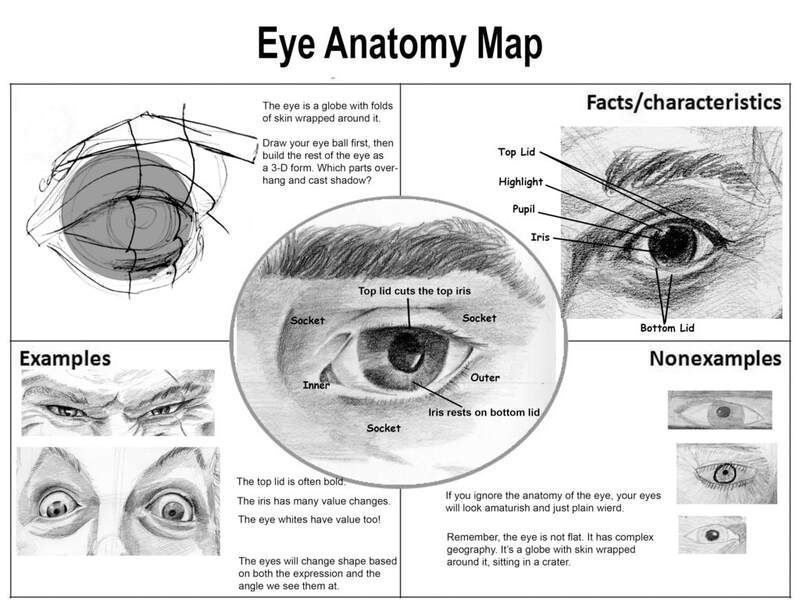 ​The eye lids cover the top and bottom of the iris with a little more covered at the top. There is a thin edge of skin that is visible on the lower lid. Eye lashes grow out of the outer edge of this skin so the eyelash base shouldn't touch the eyeball. Be careful not to overdue eyelashes so that they look like wagon wheel spokes. They bend slightly downward before turning. Use a modified checkmark. Lashes tend to clump and grow at different lengths. The lower lashes are thinner and spaced farther apart. The eye is round so be sure to have light shading in the white around the edges. Also there is a darker shadow under the top eyelashes. Leave a white highlight in the iris. Avoid pig noses. 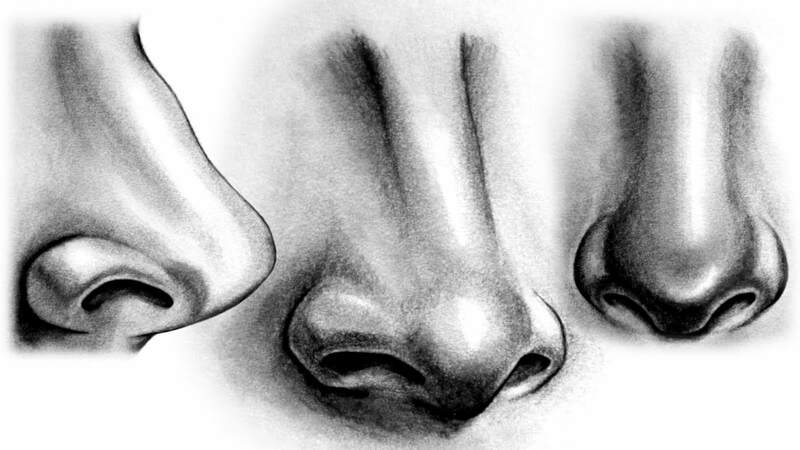 Nostrils are not perfectly circular. They are semi-oval shaped, and more like a cave than a hole. The top has a strong shadow with a definite edge. 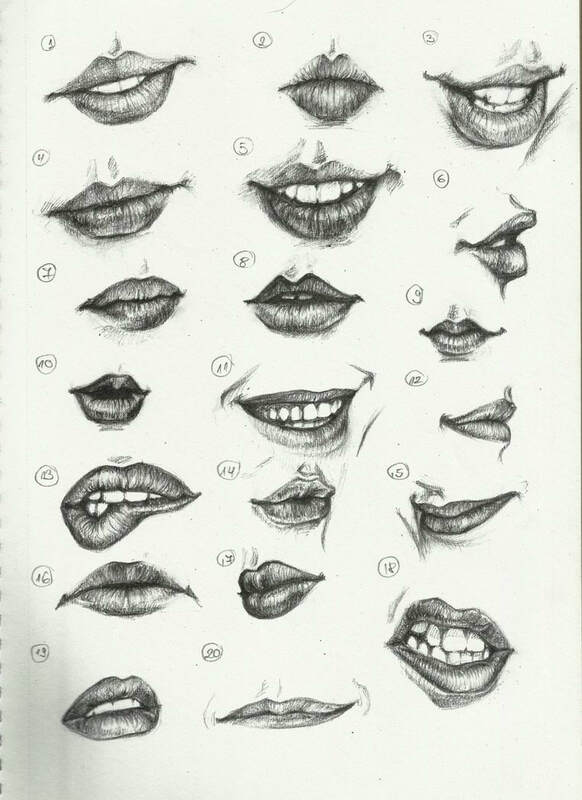 The bottom is like a path that comes out of the cave with a gradual shadow that lightens as it moves into the lip. Shading the length of the nose is tricky. Because it stands up in the middle and drops quickly down the edges, students often use a dark line to define the change. 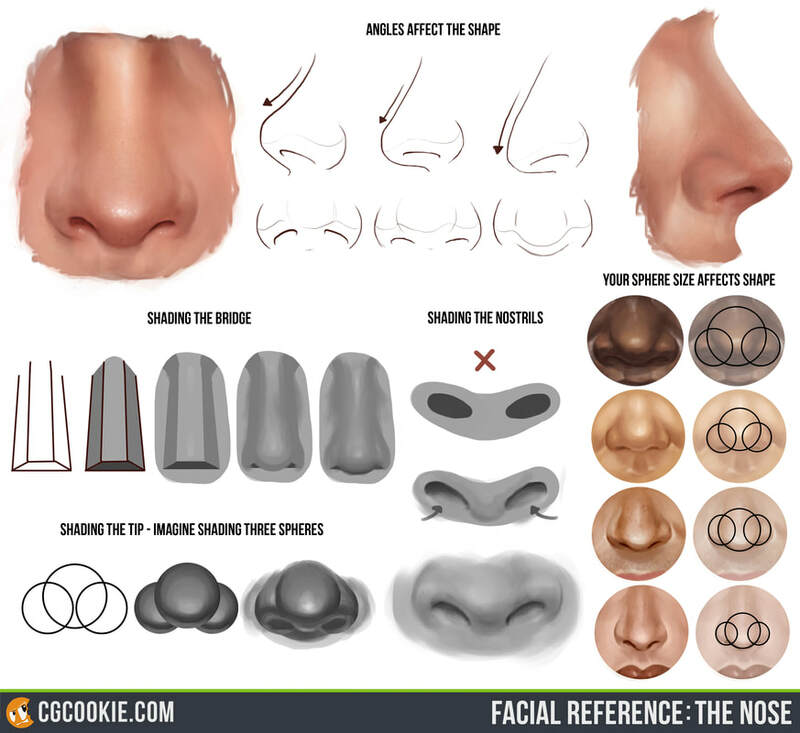 In real life the nose is define more by shading than by line. 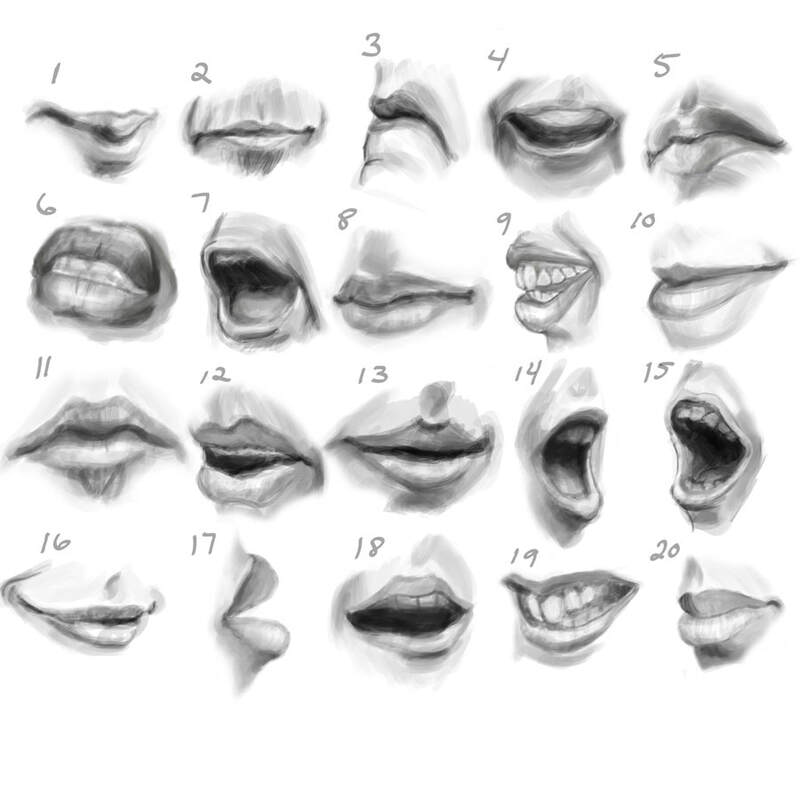 ​When shading, add the small wrinkles found on all lips. Some of these should cross over your highlight. 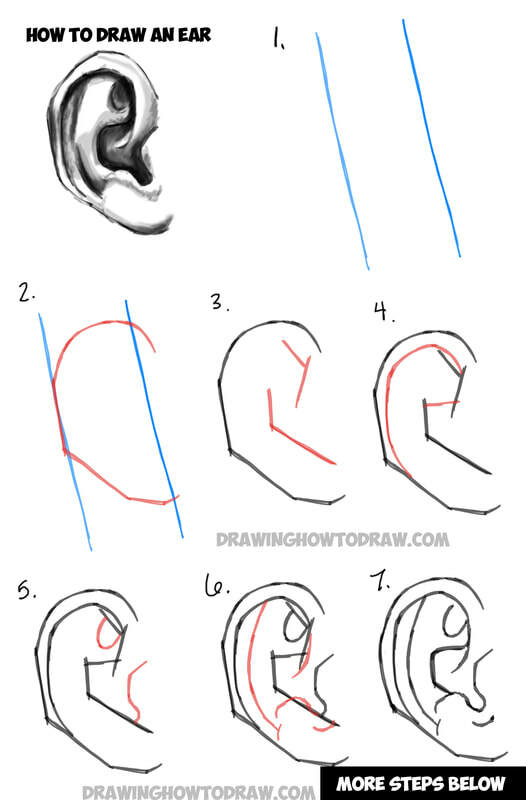 The line indicating the mouth opening is the darkest. A shadow blends up and down from this line. Highlights on the top lip are near the top. 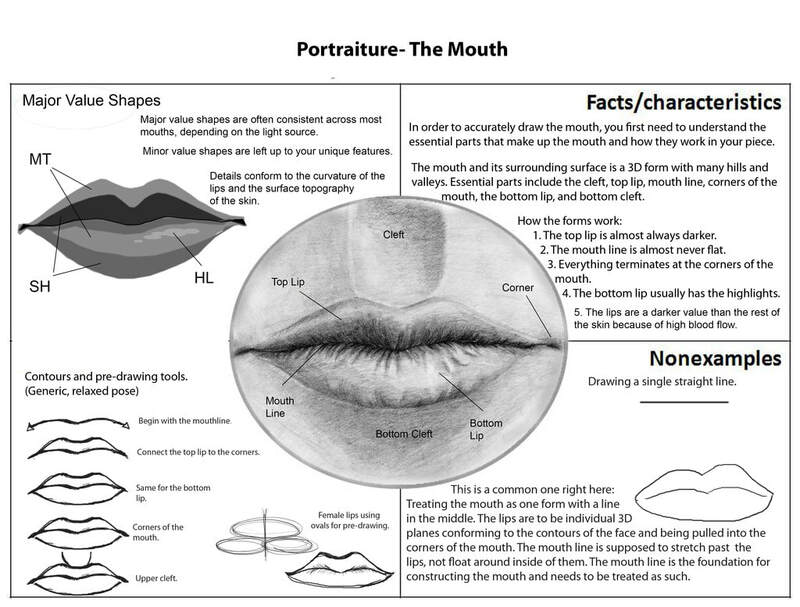 Highlights on the bottom lip are on the upper center of the lip and a shadow moves down as the bottom lip curves under. Teeth ca m be tricky. Don't outline them too darkly. Even though they are white, there is a faint value except for the highlight. 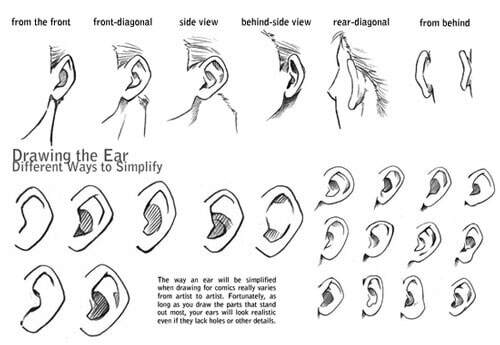 Anti-Helix (raised center piece): Does is stick out farther than the Helix (outer rolled edge of the ear)? Notice if the overall shapes are pronounced or shallow.